This year was our biggest and best Regeneron Westchester Science & Engineering Fair yet! In total, we had approximately 560 projects representing 44 high schools in our region including Westchester and Putnam Counties. The caliber of our students’ work was exceptional and rivals that of professional scientists! 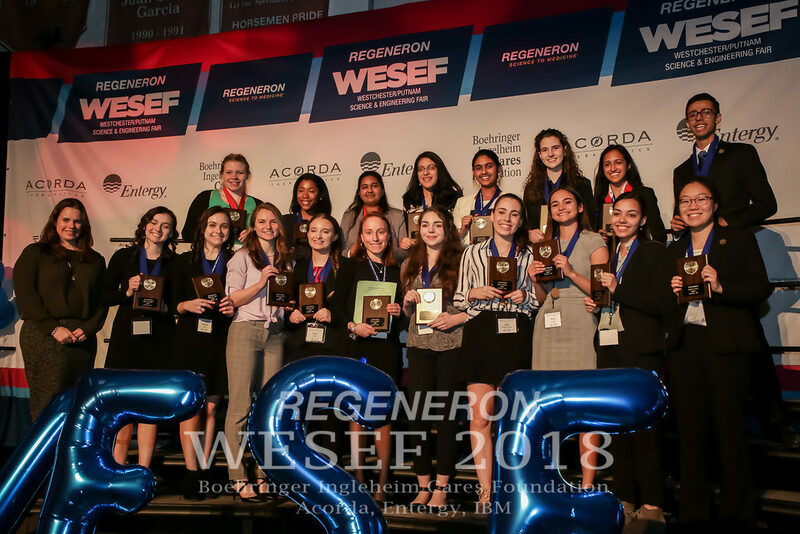 A complete list of all Regeneron WESEF winners can be found here. 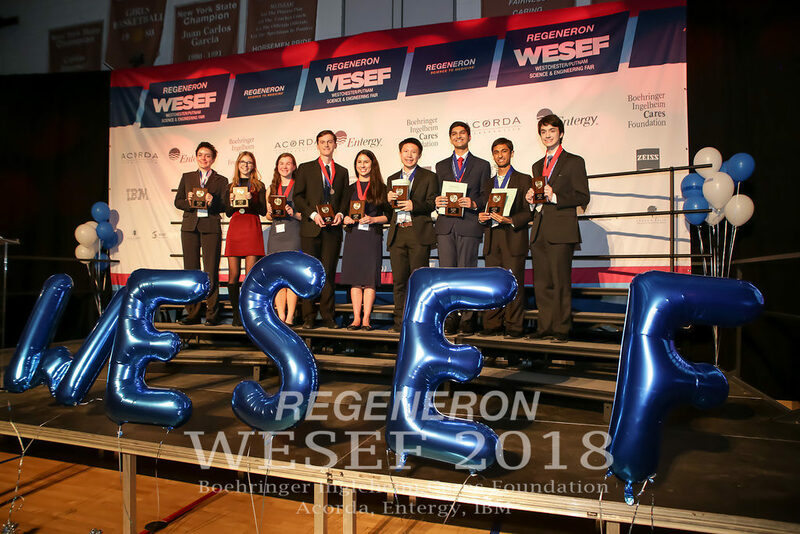 The top Regeneron WESEF winners will advance to the Intel International Science & Engineering Fair in Pittsburgh, PA May 13th – May 19th where they will compete among 1,800 students from more than 75 countries around the world for $4 million in prizes. 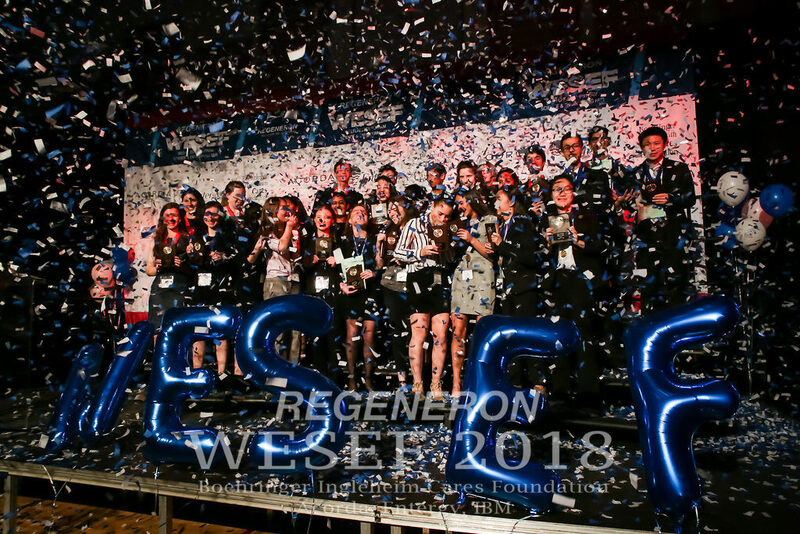 Additionally, Regeneron WESEF is able to the send nine qualifying projects to the Genius Olympiad June 11th – June 16th, an international science fair held in Oswego, NY which will include a total of 600 projects from over 70 countries. We must additionally thank the more than 300 judges who volunteers to support student interests in science by giving generously of their time on a Saturday morning. Finally, we recognize that this science fair would not be possible without the continued support of our donor organizations including our top donors Regeneron Pharmaceuticals, Acorda Therapeutics, Entergy, and Boehringer Ingelheim Cares. Additional information on our donors can be found here. Photos from the awards ceremony can be found here. The Photo Montage from the Awards Ceremony is available here. Many thanks to all who helped to pull this event together, including the donors, judge volunteers, teachers, parents, mentors, and student volunteers! Thank you for your continued participation, interest, and support!